Every year during the month of June, healthcare providers across the nation promote the importance of prevention and early detection of diseases that affect American men. Our dental practice in Strongsville is no different. To do our part, we’re dedicating this blog to educating our patients and community on the unique dental issues that often apply to the male population. It’s typically recommended that everyone visits their dentist at least twice year for proper preventive care and a deeper cleaning than you can get at home. However, according to the Centers for Disease Control, barely 60% of American men between the ages of 18 and 64 went to the dentist in the past year. Skipping regular visits to your dentist in Strongsville can allow problems to go untreated and lead to bigger, more complicated (and often more expensive) treatment. In fact, the Academy of General Dentistry states that it’s all too common for men, in particular, to only go to the dentist when they’re experiencing a problem. Most likely, these problems could have been prevented by keeping bi-annual dental appointments. While regular dental appointments can help protect teeth against decay and the need for fillings or more advanced restorative dentistry such as root canals or crowns, they can also diagnose gum disease and oral cancer early when treatment is less invasive and more successful. This is especially important for men since they’re at increased risk for both gum disease and oral cancer. The truth is, oral cancer is twice as common in men than women and, according to the American Academy of Periodontology, 56% of men have gum disease as compared to only 38% of women. Even though oral cancer is certainly scary and serious, gum disease can be quite scary, too. Gum disease can contribute to a host of other problems throughout the body and has been linked to an increased risk in heart disease and certain cancers, as well as prostate health in men. Studies have shown that there is a possible correlation between gum health and prostate health due to something called prostate-specific antigen (PSA). When gums are inflamed because of periodontal disease or the prostate is unhealthy, PSA levels increase. 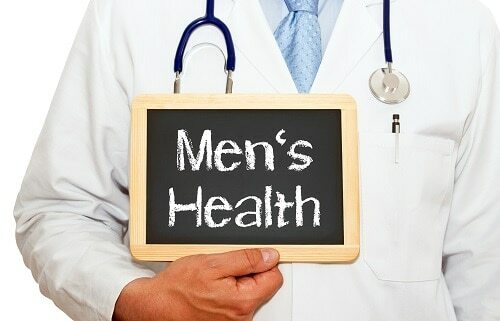 However, PSA levels are substantially higher in those with both a prostate condition as well as gum disease suggesting a connection between the two. Dry mouth is something that may sound like nothing to worry about, however can contribute it’s own oral health issues. In a healthy mouth, there’s is an abundance of saliva production that helps neutralize acids and wash away harmful bacteria. But someone who suffers from dry mouth doesn’t have the same benefits. This leaves teeth exposed to enamel-eroding acid and decay-causing bacteria. This month, and every month, we’re here to keep our neighbors healthy. Whether you’re a man who may have been skipping dental visits, or you’re a woman who has men in your life you care about, we encourage you to schedule an appointment at our Strongsville dental office today.